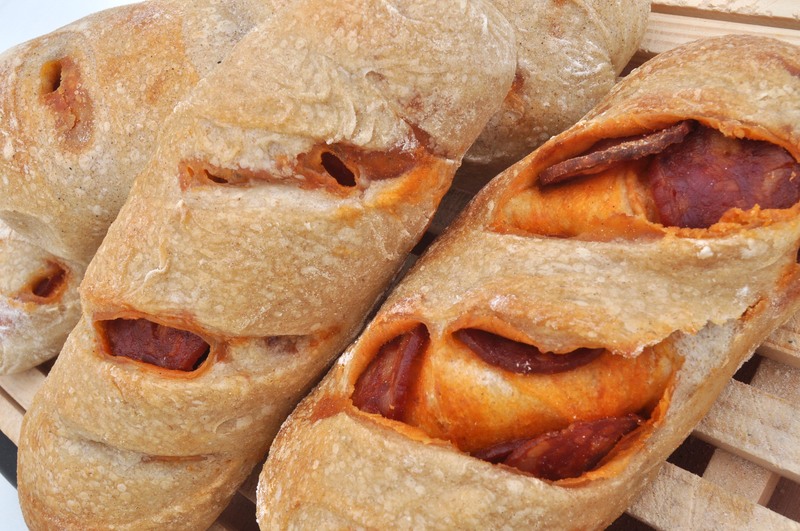 No one recorded the moment of sublime inspiration when an unsung genius thought of taking a delicious “chouriço” (a smoked sausage made of pork marinated in red wine), place it inside bread dough, and cook it in a wood oven. The result is incredible. You can buy chouriço bread at bakeries and fairs. But think twice before you try it: it is wildly addictive. Many visitors keep returning to Portugal on their vacations. They say they are attracted by the majesty of the cities, the beauty of the countryside, the stunning beaches, the perfect weather, the wine, the food, the hospitality, the culture. But we know they come for one thing only: the chouriço bread. I need to learn how to make these. best ever was in Madeira Portugal. yummy chourico bread there!! That’s a perfect location to enjoy chouriço bread!